What!? A book about Frederick Douglass in Washington, DC? Yes! Frederick Douglass’ years in Washington have been ignored and neglected in the narrative history of Anacostia and Washington, DC. This will be the first work to look into Douglass’ years as a leading citizen of Uniontown when he served as US Marshal, Trustee to Howard University, was a frequent presence at Metropolitan African Methodist Episcopal Church and shook up his family and society by marrying Helen Pitts in 1884. Until Douglass’ last day, he planned on attending a church in Hillsdale the evening of his death on February 20, 1895, he was ripping and running. 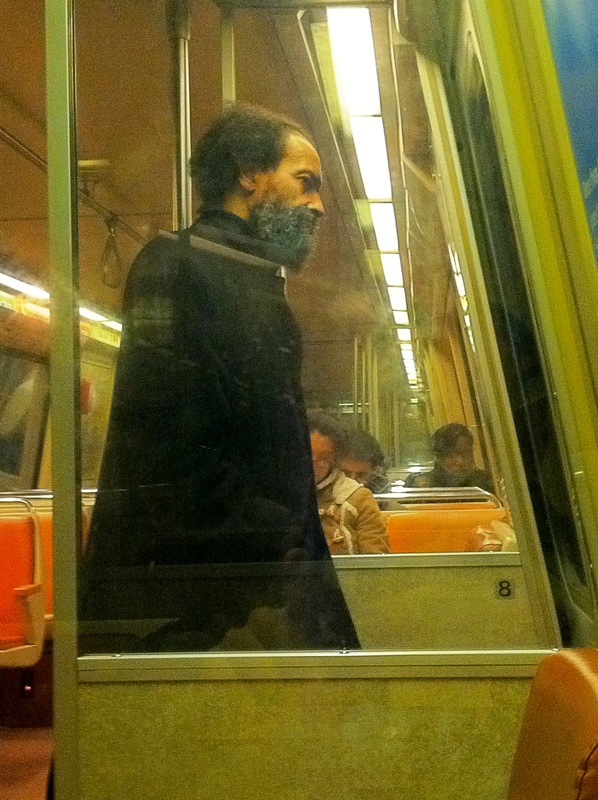 Frederick Douglass look-a-like on the Metro!